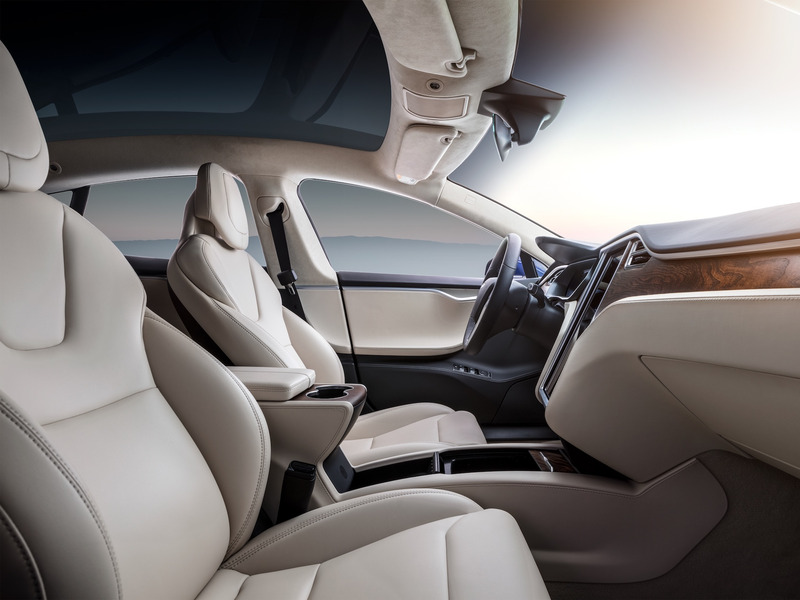 TeslaThe interior of a Tesla Model S.
Tesla CEOElon Musk said on Tuesday that “many” interior options for the Model S sedan and Model X SUV will no longer be available after November 1 to simplify the production process. Only three of those options are available for each vehicle’s premium trim. Tesla CEO Elon Musk said on Tuesday that “many” interior options for the Model S sedan and Model X SUV will no longer be available after November 1 to simplify the production process. “To simplify production, many Tesla Model S & X interior configs, will no longer be available after Nov 1. Order now to be sure of the one you want,” Musk wrote. As of Tuesday afternoon, Tesla offered six interior options for the Model S and six interior options for the Model X on its website. Only three of those options are available for each vehicle’s premium trim. At the beginning of this month, Tesla said it produced 80,142 vehicles during the third quarter, which was the highest quarterly production rate in the automaker’s history and 50% higher than its previous high, achieved in the second quarter of this year.